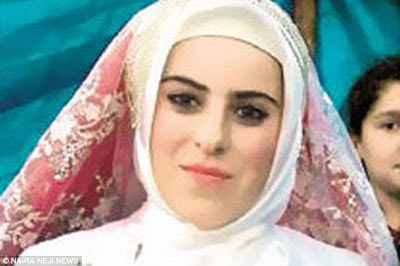 Home / News / Teenage Child Bride Who Was Forced To Marry At 14, Dies In Labour. Teenage Child Bride Who Was Forced To Marry At 14, Dies In Labour. A girl who was forced into an arranged marriage at 14 has died in labour after suffering a brain hemorrhage. According to reports, Derya B was married in a religious ceremony and gave birth a week ago, aged 15. She died of complications related to giving birth at such a young age, it is believed. Derya died in a private hospital in Batman, east Turkey, on October 17.